Lei Cheng Uk Han Tomb Museum (李鄭屋漢墓博物館) offers you a great opportunity to learn about the little-known history of Hong Kong. The nearly 2,000-year-old tomb is located near the city centre with 58 items found. You can get a glimpse of the Han tomb and understand the culture of the Han dynasty, although you cannot compare it with the tomb of Emperor Qin Shi Huang with Terracotta Army in Xian. 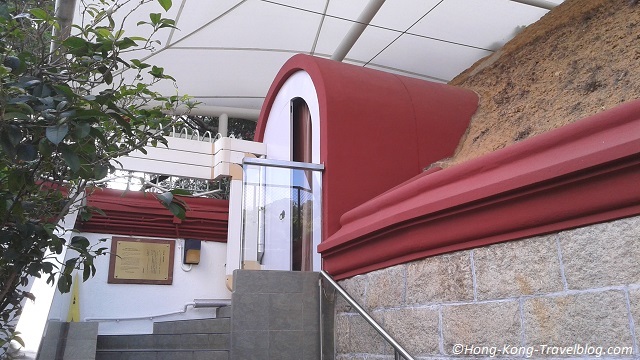 The Han tomb was discovered at the construction site of the Lei Cheng Uk Resettlement Area (the present Lei Cheng Uk Estate) by workers, when the Government was levelling a hill slope in 1955. Professor Frederick Sequier Drake (1892-1974), the former head of the Chinese Department at the University of Hong Kong, his students, and workers of the Public Works Department participated in the excavation. In 1957, the tomb and an exhibition hall were officially opened to the public. In 1975, it became a branch of the Hong Kong Museum of History. Once called Lei Cheng Uk Ancient Tomb (李鄭屋古墓), it has been preserved as a Declared Monument since 1988. It is believed that the cross-shaped four-chamber brick tomb was built in the Eastern Han Dynasty (AD 25 – 220) based on the design of the tomb, the forms and the inscriptions of the burial objects. The clerical script or Iishu (隸書), a Chinese calligraphic style which is prevalent in the Han dynasty (206 BC–220 AD), was used in the inscriptions. In addition, tomb bricks inscribed with Punyu or Panyu (番禺) were found. Not only does it show that Hong Kong was administrated under Punyu County, Nanhai Prefecture during the Han dynasty, it also proves the construction period of the tomb. A total of 58 pottery and bronze objects were found inside the tomb including cooking utensils, food containers, mirrors, bronze bells and models like a house and a well. Most of them are displayed in the exhibition hall next to the tomb. However, no human skeletal remains were found. Someone suggests that the tomb was belonged to an unknown nobleman. Was the body stolen or not buried inside, it is yet to be answered by experts. In the exhibition hall, texts, graphics, photos, maps, videos and models are used to explain the discovery and characteristics of the tomb and the objects, the geographic information of the site, as well as a little bit of Hong Kong history. For conservation reasons, the temperature and the humidity of the tomb is under control. Visitors are not allowed to enter the tomb, but you can view the interior of the tomb through a glass panel at the entrance passage. A renovation project was completed in 2005 including the building of a canopy to protect the tomb. 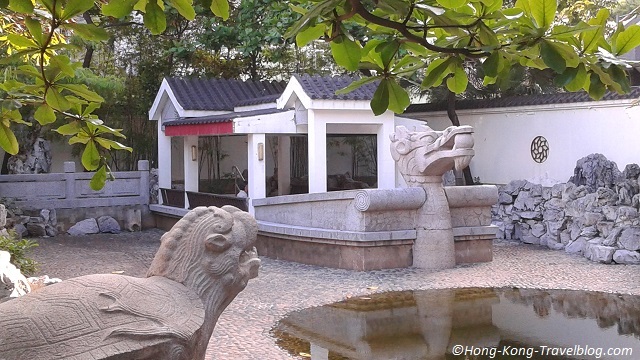 The Han Garden (漢花園) right next to the Museum was built in 1993 featuring rock sculptures and pavilions which follows the style of the Han dynasty. MTR Cheung Sha Wan Station, Exit A3. Walk along Tonkin Street for approximately 10 minutes. Take the KMB Bus No.2 (from Star Ferry to So Uk) or the Cross-Harbour Bus No.112 (from North Point (Pak Fu Rd) to So Uk) and get off at Po On Road, then walk 2 minutes along Tonkin Street. Admission to Lei Cheng Uk Han Tomb Museum is free. What do you think about the Lei Cheng Uk Han Tomb Museum? Please feel free to leave us comments or contact us if you have any questions. Thank you for reading this post. 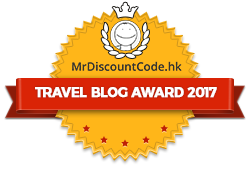 To get free newsletter and updates from Hong Kong Travel Guide in your inbox, simply sign up at the top of the right-handed sidebar. Please like us on Facebook and share our post!